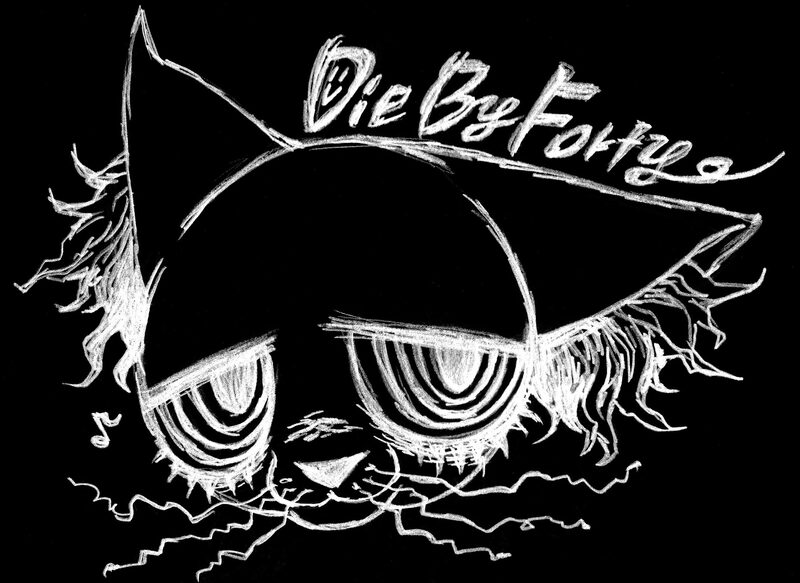 It’s Tommy here, the bassist for DiebyForty. Today I’d like to talk a little about how I recorded distortion guitars for the song Eole. The process is really simple, but a little tedious. First off, here are the two guitars I used. 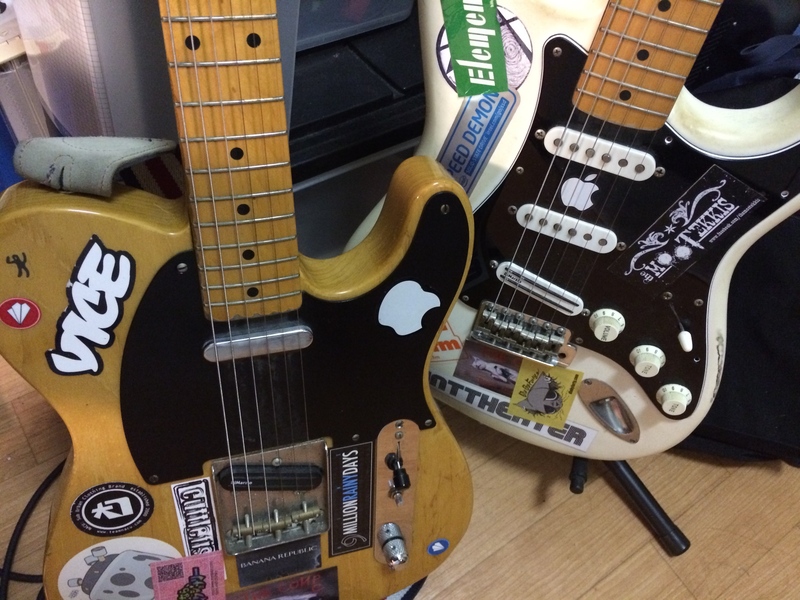 The telecaster for the Left channel, and the stratocaster for the Right channel. Both used the rear single-sized humbuckers. 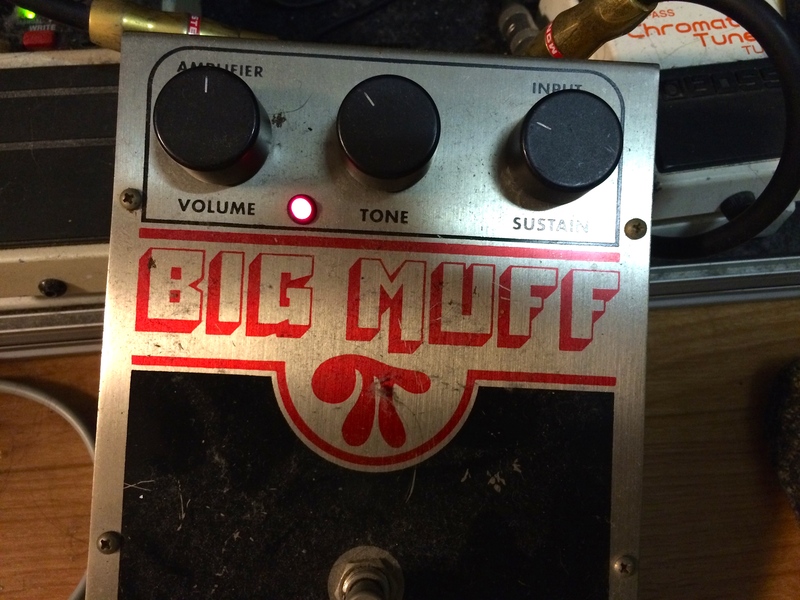 Now setting up the good ol’ Big Muff! I always set the Volume at 12o’clock when recording, but the point is to set the distortion lower than usual. 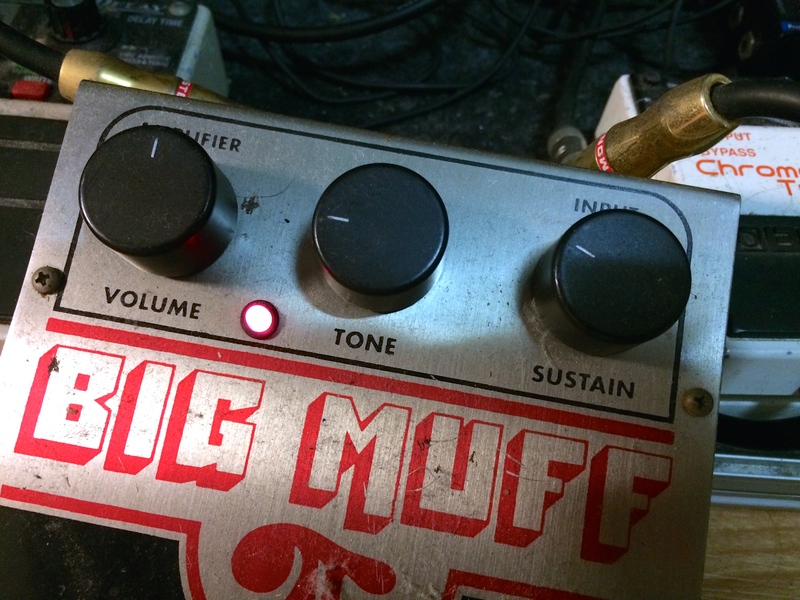 For the Big Muff, that’ll be the Sustain knob so let’s set it around 10o’clock. For this take, I wanted to record the base… or BASS part of the track, so I set the Tone knob at 9o’clock. By itself, it sounds like SH*T, but when mixed together in the end, I can get the good low-end I need for the song. Recorded one track with the telecaster, and one with the same setting on the stratocaster. The next take was a little difficult. I needed to find the right setting to blend with the low-end guitar sound I recorded prior to. Left the Volume and Sustain knob alone, but raised the Tone knob to 11o’clock. Doesn’t look like alot of change… but if you’ve used a Big Muff before, I’m sure you can understand how much tonal difference that makes 🙂 Recorded two layers with each guitars with the same settings. Finally, when mixing the sounds, I pan the the two low-end guitars 60% Left and Right, pan the two regular toned guitars 80% Left and Right, the last two guitars 100% Left and Right, equalize according to, sprinkle some magik…. and I’m done!